Published twice a year to its members by the international label association Finat Radar is a unique, in-depth profile of the complex and diversified European label industry. The report brings together focused research and analysis, conducted by market research company LPC Inc. 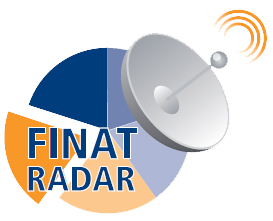 The Finat Radar is an in-depth, reliable portrait of current status in the label industry. It is now recognised by members as a valuable complement to the association’s extensive portfolio of industry-standard technical publications and its programme of annual events. The latter include the top-level Finat European Label Forum (June 6-8 2018, Dublin) for which the programme will be announced and the registration will open mid-February 2018.